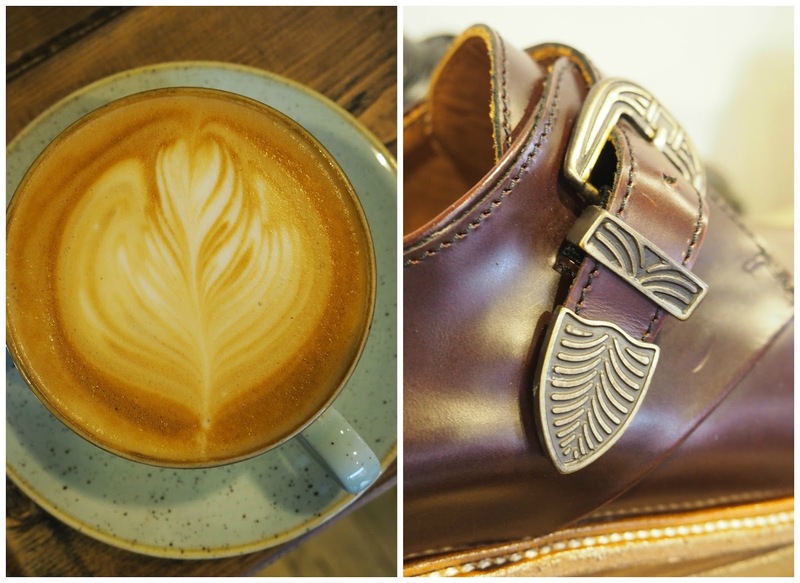 Yay, coffee and shoes, my two favourite things, well, I have other favourite things but these are just two of them! 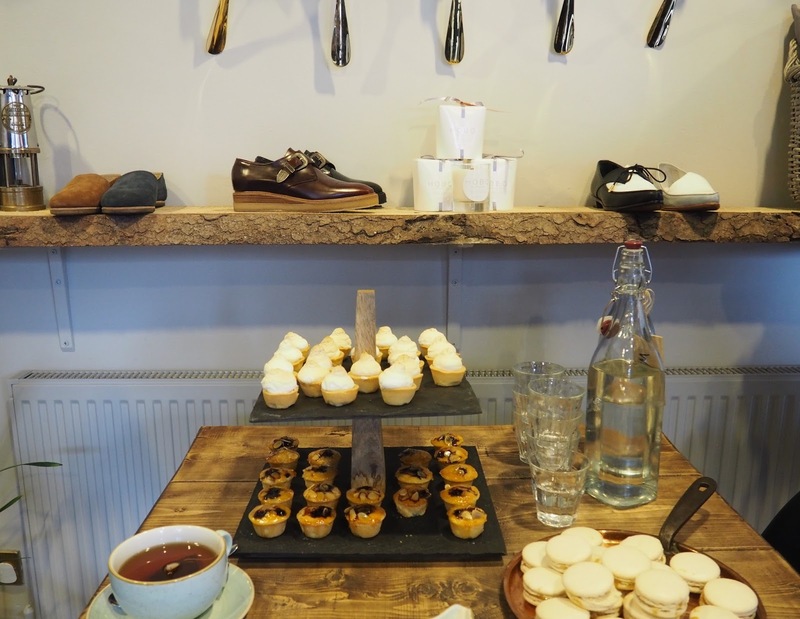 The other week I was invited along to the SS16 launch at Northern Cobbler in the Clarendon Park area of Leicester. Shoes and coffee? It's a yes form me. 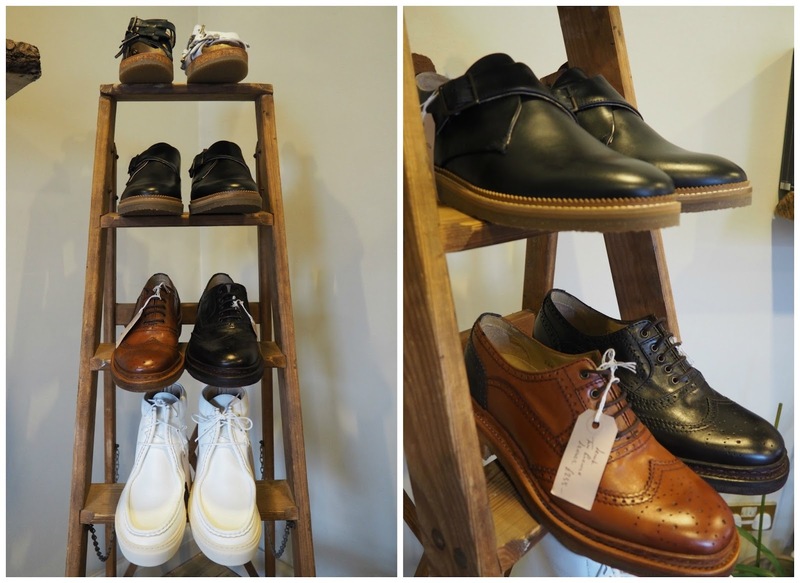 Northern Cobbler was set up by two Leicester locals, Feroza Bham and Steffan Safhill who met some years ago whilst working at Next where Feroza was a buyer and Steffan a designer. Over time they honed their skills, made contacts and started to build, but working out of a London office space came at a premium so they had to look at options. Feroza explained to me that although they both had a passion for shoes they also liked the idea of opening their own coffee shop. They returned to their roots and their ideas came to life. They happened upon their current location which could be used as office/work space, store and coffee shop. Win win. Together they have created their brand. A brand of high quality, handcrafted footwear along with a unique coffee shop where you can sip on a latte and try on a pair of loafers at the same time! 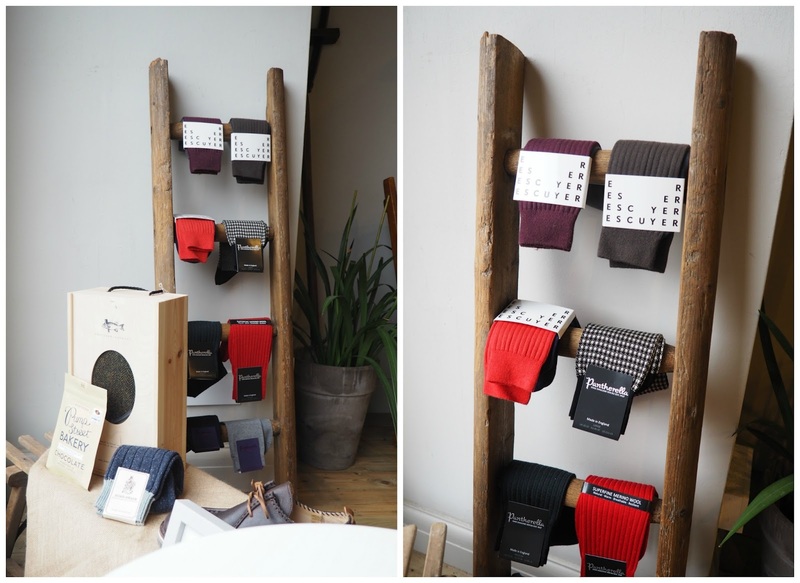 Oh and if you're not after shoes you can pick yourself up some slippers, socks, a bag, shoehorn or even a delightful candle!! When you step inside you see the coffee shop, you don't necessarily see the shoes on display at the far end, you could be forgiven for thinking it's some sort of quirky decor. The shoes are incorporated in such a way (on wooden shelves and some dotted around the windows) that you don't feel there's any kind of retail outfit going on at all, but they're there and you can't help but be intrigued and want to go and try them all on! 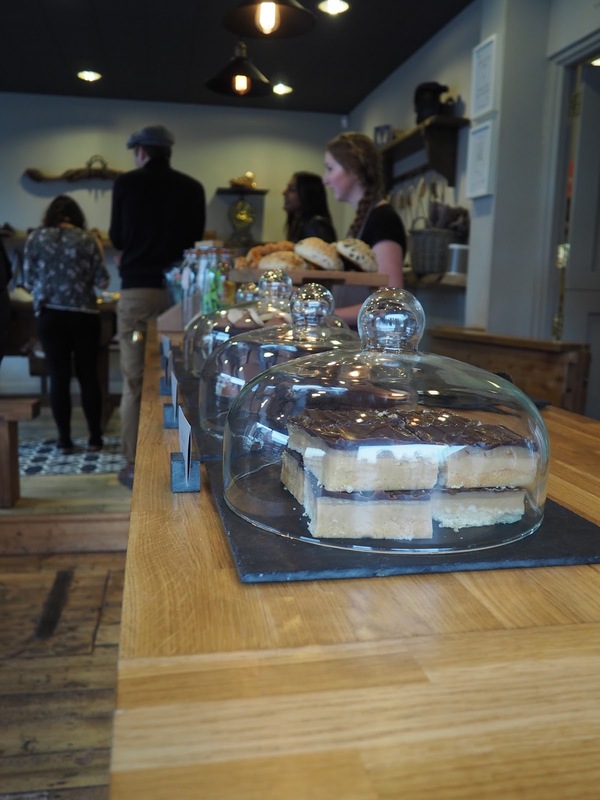 The coffee shop is light and airy, just the place you want to wile away a few hours with coffee and your laptop, oh and cake of course. They serve all manner of cakes and sweet treats, and I could quite happily work my way through them all. They have their own coffee, a blend specifically roasted for them, and which you can also buy. 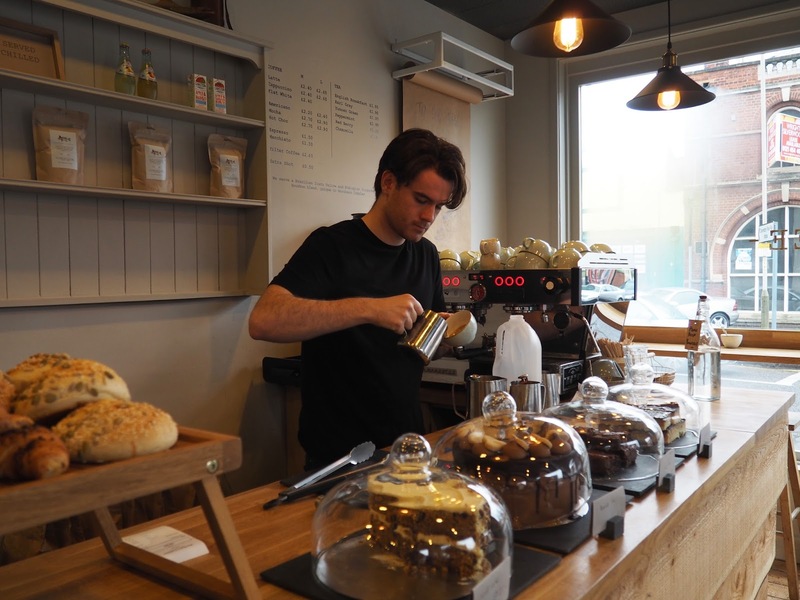 If you're not a coffee lover, do not fear, they also do hot chocolate, I have it on good authority that it's amazing, and a small selection of teas. Steffan designs all of the collections and his designs are brought to life by highly skilled craftsmen in the UK and Portugal. I think the mens range is wider than the womens but I still managed to fall in love with a few of them with the Damselfish and the Cavefish being my absolutely favourites. The Damselfish (grey and white loafer) remind of a pair I had when I was about 13 years old, I felt so grown up in them and think I wore them till they fell apart. I need a pair of Damselfish. Out of stock at the moment though. I've also got my eye on the Emperor shoe below! All the shoes are crafted with top quality materials, the softest leather, polished metal and sharp stitching detail. The shoes are pricey, I cannot deny, but if you want quality, attention to detail and shoes with personality, then they are for you. They're an investment piece. So, a coffee shop selling shoes, or a shoe store selling coffee? Either way it's a concept that works, a lifestyle brand and one that I buy into. I only wish it was closer so I could drop in often. 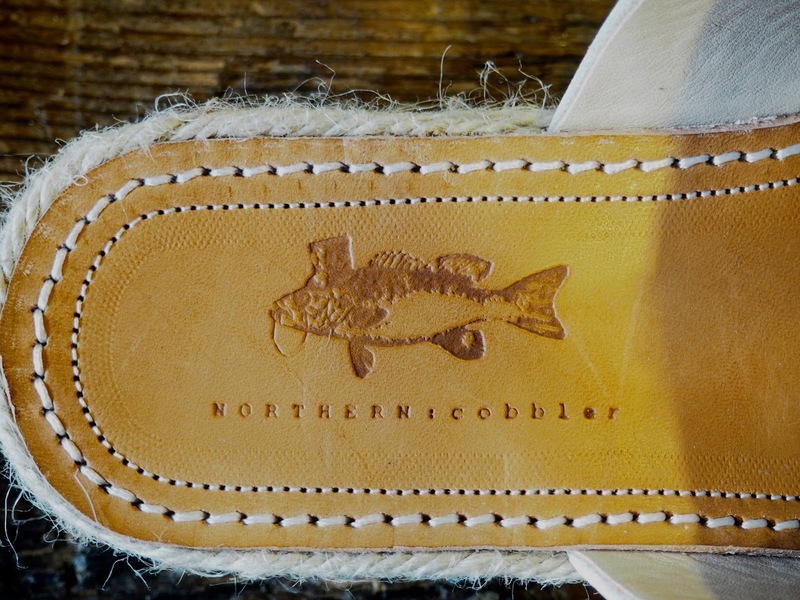 Northern Cobbler is situated at 104 Queens Road so if you're local why not pay them a visit? If you can't stretch to shoes, treat yourself to coffee and cake, if not coffee, definitely cake!!!!! What do you think to the designs? Are they something you would invest in? 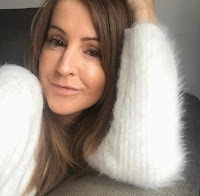 Don't forget to follow along on Bloglovin to keep up with posts!